Roadie Tech Type #1: “But that would be awesome if it did”. They’ve combined their power-meter electronics, ANT+ sensors and battery into a waterproof cases that communicates with an iOS app. It works well. I’ve had it on test for a few months now and will race with it this season. A stem cap mounting system with lock bolt means the case is secure. Sealed and with no holes for headphones, no where for water to get in. Nice UI with lots of options and customization. 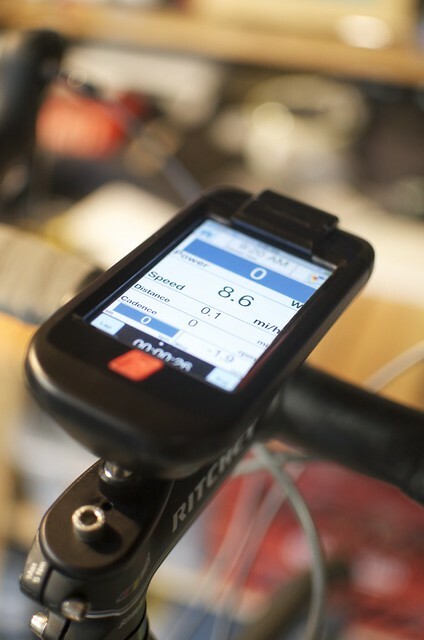 The previously tedious iBike setup time is about a half hour. Expect 3 – 4 hours of battery life with the screen set to not dim and full brightness. The extra battery in the Dash case adds another hour and you’ll need it. As I’ve found with any iOS app, there are some bugs. I think that’s developers learning how to code for the OS and we’ll see improvements and more stability in follow-on releases. Map My Tracks’ OutFront and iBike’s app will both crash when you put them in the background and then use another app that accesses the GPS functions. Specifically, what I mean is, I’m out on an epic ride – like the videos I shot from Kauai with the Biologic iPhone Mount – and I want to share the awesome with a geolocated tweet or photo. I can and the apps crash. Sometimes the entire OS crashes. 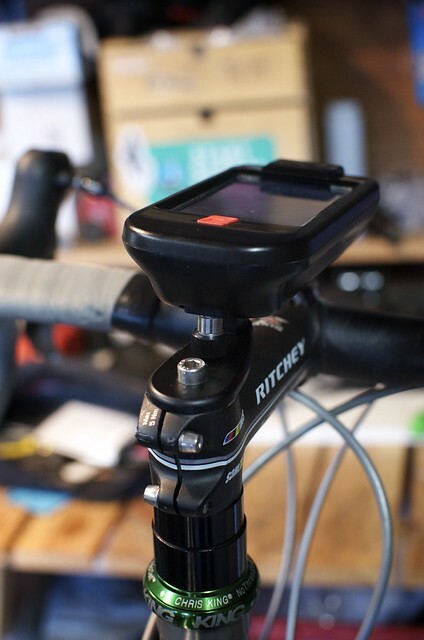 Considering sharing and just riding, Biologic just released an app for their iPhone case and I reviewed it last week. We retail the Biologic case in our store and it works very well for riding and sharing. 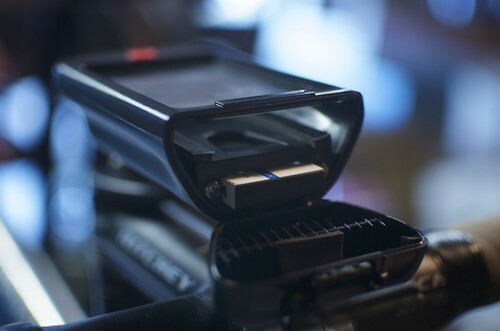 It has ports for the cameras, headphone jack, and advanced battery management. It does not crash when using other GPS-enabled apps. 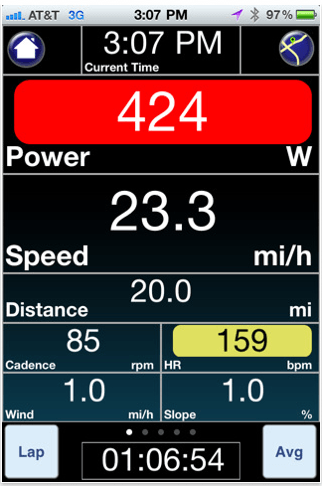 The Dash+Power is focused on training and racing. It has no ports and only one home screen button. It retails for $749.00 with the ANT+ sensors and battery. We sell the Biologic case for $64.99. 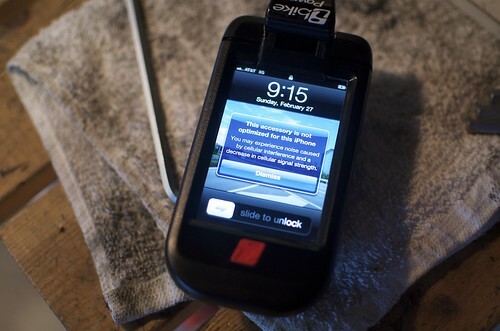 Disclosure: iBike provided us the Dash+Power for review and we retail the Biologic iPhone Case. Map My Tracks sponsored the Mobile Social SXSW 11.